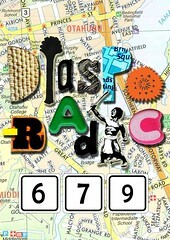 DIASPORADIC679 has now officially launched ONLINE! The artist pages now feature all the works in the exhibition! To see the works as posters in the Otahuhu venues, check out the map and get your walk on! We’re so very grateful to our venue hosts, learn a bit more about them here and feel free to browse + support these excellent and very accommodating businesses! Thank you to the Southside Arts Festival for making this project a reality for us – vinaka vakalevu! « The #TeamD679 Iine-up in Otara today!